Will follow World Warrior plot. Street Fighter is being made into a live-action TV series. 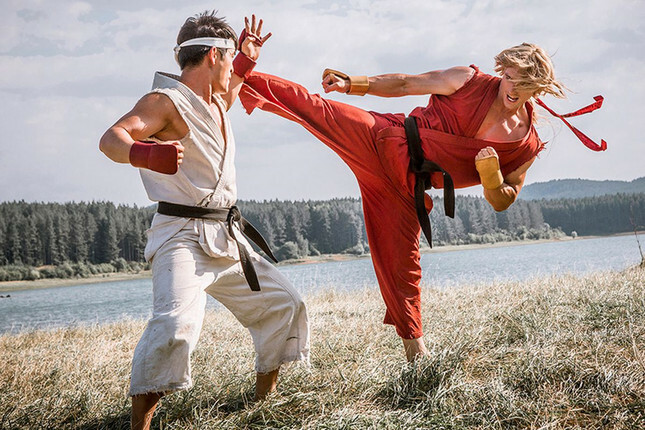 The project is being helmed by the team behind 2014 live-action web series Street Fighter: Assassin’s Fist, which attracted 16 million views and much acclaim over on Machinima. According to Deadline, the series will be based on the “World Warrior” plot of Street Fighter II, following Ryu, Ken, Guile, and Chun-Li as they compete in a martial arts tournament run by M. Bison. The project is underway at production house Entertainment One, but there isn’t a TV network or streaming service attached just yet. “Street Fighter is a global tour de force franchise, having garnered immense worldwide commercial success and built a vast devoted fanbase that has only grown through its 30 year legacy,” said eOne president Mark Gordon. Jean-Claude Van Damme is likely waiting by the phone.